We recognize different pathways to health.
. . . We do care! The Sioux Lookout Meno Ya Win Health Centre (SLMHC) has a specific mandate among Ontario’s hospitals, to provide a broad set of services to a largely First Nations service population in a way that addresses the health status and cultural needs of that population. Our services are provided equally to all peoples of our service area. We are implementing programs and services that respond to this mandate and have been cited as an Ontario Center of Excellence in the provision of culturally sensitive care. 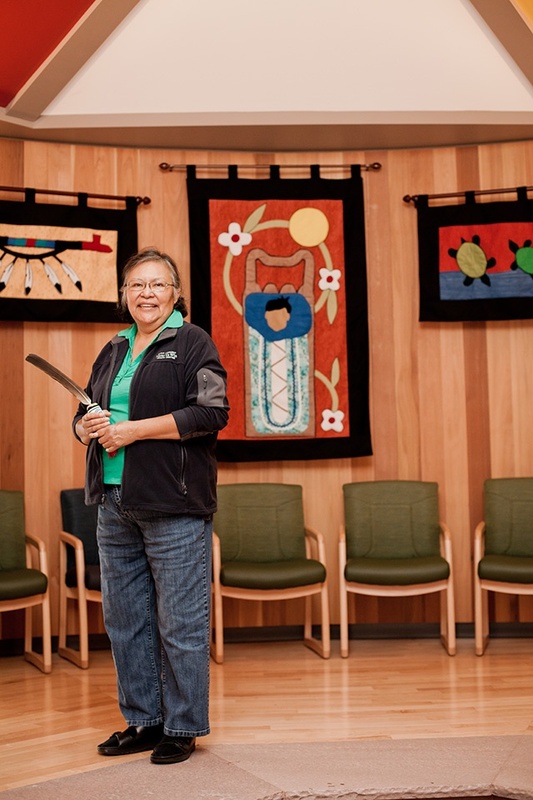 Our Traditional Healing, Medicines, Foods and Supports Program (THMFS) is a new model for integrated First Nations hospital-based services. This program offers support and choice in healing approaches to our patients and clients. It is built on a strong foundation of culturally-responsive values and practices. Our care is based on recognizing the relationship of physical, emotional, mental and spiritual aspects of all people.